Explore your creative potential, and share your memories of cinema-going. Come and take part in our Creative Writing Workshop in Inverness at 10 a.m. on Saturday, 12th November 2016. 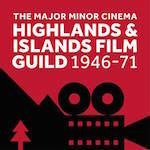 Our workshop is open to all, and is being held at Eden Court Theatre as part of the Inverness Film Festival. For more details, please check the Inverness Film Festival 2016 programme.